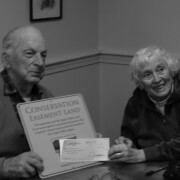 Conservation can’t wait! 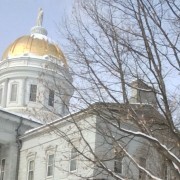 Please set aside February 26th as a day to come to Montpelier to talk and advocate on behalf of VHCB funding. 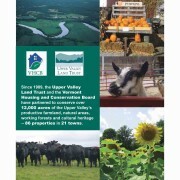 Join UVLT and its supporters on the western side of the Connecticut River as we journey to Vermont’s capitol to speak out in favor of funding for new conservation projects. We’ll meet at 6am at UVLT’s office, 19 Buck Road, Hanover, for coffee and snacks before departing at 6:15am for Montpelier. UVLT hopes to fill a 15-seat van with staff, members, and trustees. It promises to be a fun, informative trip! UVLT will provide materials for background on the issues to be addressed. 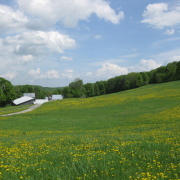 Travelers can plan to be back in Hanover by 4pm. View a draft of the day’s schedule. Find out more at https://uvlt.org/. Call us at (603) 643-6626 or email noradoyle-burr@uvlt.org for more information.